Grief is one of the most complex and unpredictable life experiences out there. It sneaks in unexpectedly and paralyzes you. It swings you wildly up and down, never knowing where then next turn is heading. Grief encompasses our whole being; the social, emotional, physical, and spiritual parts of who we are. It is important to have realistic expectations for grief work. Below are some of the realities of grief work. Your grief work will require more energy than you might have imagined. Your grief will not remain static over Grief evolves and unfolds and is, therefore, continually changing and developing. Your grief will have an impact on all areas of your life; social, physical, and emotional. Your grief will not follow a logical progression of decreasing. The grief process is much more like a roller coaster, with dramatic ups and downs, than it is a logical, step-by-step progression. How you grieve will depend on how you perceive the loss. You will grieve not only for the person who has died, but also for all of the hopes and dreams you held for the future and all of your needs that can no longer be fulfilled by the person who has died. Your grief will involve a wider range of feelings than those typically recognized as grief such as sadness or You may also experience guilt, anger, frustration, resentment, intolerance and irritability. There is no one, all-inclusive list of appropriate grief feelings. Remember, feelings are not good or bad, right or wrong, they just are. Give yourself permission to feel and express whatever emotions you are currently experiencing. This loss may trigger feelings of grief for earlier losses that were not resolved or recognized at the time of the Coming to terms with earlier unresolved losses may be part of dealing with your current loss. Look at this as an opportunity to heal old wounds and to free yourself of burdens that you may have been carrying for a long time. Grief usually involves an identity You will have to figure out who you are now without the person who has died. At times you may doubt your sanity and fear that you are going crazy. Tags: counseling, el dorado hills counseling, el dorado hills therapy, folsom counseling, folsom therapy, grief, grief and loss, individual counseling, individual therapy, low cost therapy, roseville counseling, roseville therapy, Self Care, Therapist, therapy | Permalink. I recently finished reading Dr. Brene Brown’s newest book; Rising Strong. I found this book to be insightful and useful both personally and professionally. Dr. Brown discusses what it takes to process through and practice the courageous act of vulnerability. She challenges each reader to explore their own story and how they acknowledge it or deny it. I appreciate Dr. Brown’s candidness with her own story and struggle. She displays authenticity and models true vulnerability by exposing her own struggles and triumphs. In this book, Dr. Brown takes the reader through a 3-step journey of practicing authentic vulnerability and acknowledgement of the truth of their own story. She breaks it down into “The Reckoning”, “The Rumble”, and “The Revolution”. These steps acknowledge the falling we all do, the struggle to regain ourselves, and the courage it takes to get back up. Tags: Book Review, brene brown, el dorado hills counseling, el dorado hills therapy, emotional connections, folsom counseling, folsom therapy, low cost therapy, positive self-talk, rising strong, roseville counseling, roseville therapy, sacramento counseling, sacramento therapy, Self Care, self-love, Self-talk, therapy | Permalink. In therapy there is often discussion and exploration of enhancing healthy coping skills in the client’s life. My work with clients often entails building a metaphorical “tool box” filled with healthy coping mechanisms. We all carry around tools for coping with life– these tools can be detrimental to fulfillment, healing, or positive self growth.These are the negative coping mechanisms that can come as second nature. In order to achieve growth and health, the negative tools need to be replaced with healthy and active coping mechanisms. 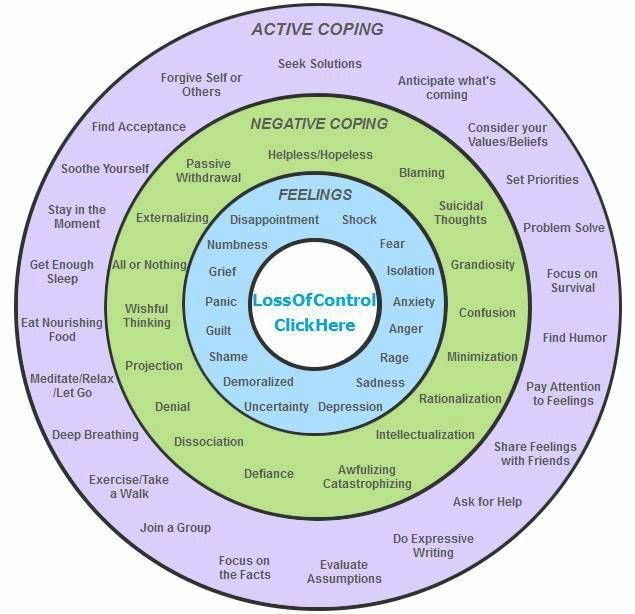 What active coping tool are you going to integrate into your life? Tags: coping skills, counseling, counselor, el dorado hills therapy, emotional connections, folsom counseling, folsom therapy, individual counseling, individual therapy, low cost therapy, positive self-talk, roseville counseling, roseville therapy, sacramento counseling, sacramento therapy, Self Care, self-love, Self-talk, Therapist, therapy | Permalink. I don’t know about you, but my mind is constantly swirling; thoughts, ideas, worries, wishes and dreams run through my mind. Sometimes I find myself consumed with these things and need a place to sort through it. Journaling is a great way to sort out our thoughts. There is power in the written word. Research shows that journaling not only improves psychological health, but also physical and physiological well being. Journaling is a platform where one can reduce stress, heal from past wounds, problem solve, enhance self awareness and experience personal growth. 1. Pick a journal with appeal! Spend some time finding a journal that you are drawn to; do you like the look and feel of it? If so, you are more likely to use it! 2. Don’t pressure yourself. Your journal can be filled with long entries, quotes, drawings, pictures etc. Don’t stifle your creativity by putting expectations on what belongs in your journal. 3. Bring your journal everywhere! Capture the opportunity to spontaneously journal. Life moves fast and carrying your journal with you will allow you to pause and reflect on what is important or impactful to you. Tags: counseling, counselor, couples counseling, couples therapy, el dorado hills therapy, emotional connections, folsom counseling, folsom therapy, individual counseling, individual therapy, journaling, low cost therapy, roseville counseling, roseville therapy, sacramento counseling, sacramento therapy, Self Care, therapist, therapy | Permalink. I am frequently asked about book recommendations for issues regarding parenting, relationships, marriage, healing past traumas etc. I am working on compiling an extensive list of books that I have found beneficial, but in the mean time I am going to occasionally post a review of a specific book. Parent ing with Love and Logic by Foster Cline and Jim Fay is a great resource for parents. This book offer insight into parenting without being emotionally reactive. The authors offer many practical ways to empower your children to make responsible choices. The premise of Parenting with Love and Logic is that choices and behaviors that children make come with consequences, whether good or bad. The book emphases giving your children choices, letting natural consequences be the teacher, and being an empathetic but consistent parent. This book is broken into parts. Part one is the educational piece; the explanation of the theory behind the title. It equips the reader with knowledge of how to parent with love and logic as well as an explanation of the philosophy behind love and logic. Part two is filled with specific scenarios, which they call “Pearls of Wisdom” where you can go to find specific ways to implement the the principles of Love and Logic. It is a helpful resource to be able to look to topic specific issues you may be dealing with in your parenting struggles. Overall, I think this book is a great tool for parents. I think the general principle behind the book is good, however some of the logical consequences the author gives seem extreme. I would recommend this book as a guideline for parents. The approach of Parenting with Love and Logic is beneficial in helping shape your child’s character; teaching responsibility and well thought-out decision making. However I do suggest that readers of this book decide where their comfort level lies when it comes to logical consequences for their children. 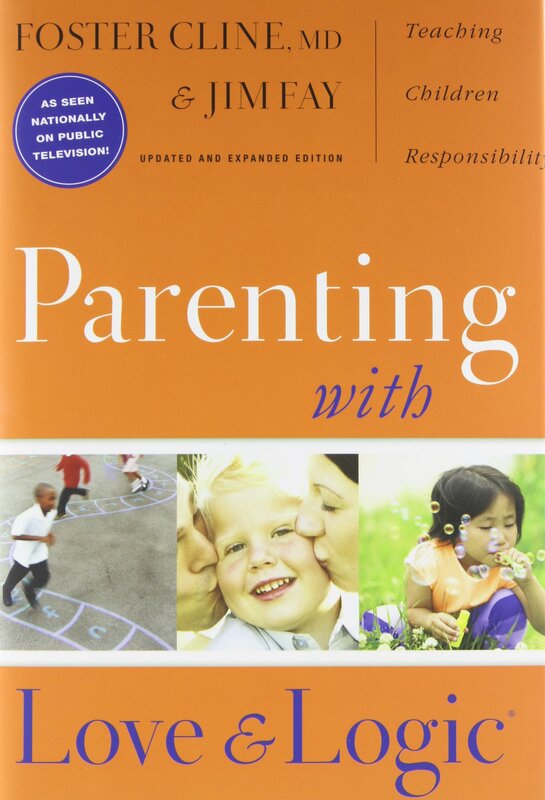 If you have read this book, what are your thoughts on the principles of Parenting with Love and Logic? Leave a comment and share your thoughts. Tags: Book Review, book review, counseling, el dorado hills therapy, folsom therapy, love and logic, low cost therapy, Parenting, parenting, roseville therapy, sacramento therapy, therapist, therapy | Permalink. When working with couples, I often come across the fact that part of the relational struggles stem from the fact that the couple has forgotten to nurture their friendship. Couples get wrapped up in the functional aspects of the relationship; the business of raising a family and maintaining a household. Making time for connections outside of these roles can become challenging. When we become good co-parents and business partners, but starve the emotional connections of our relationship, we are at risk for foundational breakdown. Relationships need a foundation of emotional safety and trust in order to thrive. By making time to connect as friends and lovers, we provide the proper environment for emotional connections to be cultivated. When was the last time you and your partner spent some quality time together? Pull out a board game or go on a walk together; share a laugh or a personal struggle. Building a strong foundation of emotional safety and trust doesn’t require a lot of time. Connecting as friends is a great way to cultivate the environment that breeds emotional connection. Tags: counseling, couples counseling, couples therapy, el dorado hills therapy, emotional connections, folsom therapy, low cost therapy, Relationships, roseville therapy, sacramento therapy, therapist, therapy | Permalink.